Available on Facebook Messenger, SkyChat is a travel chatbot for Hong Kong International Airport. 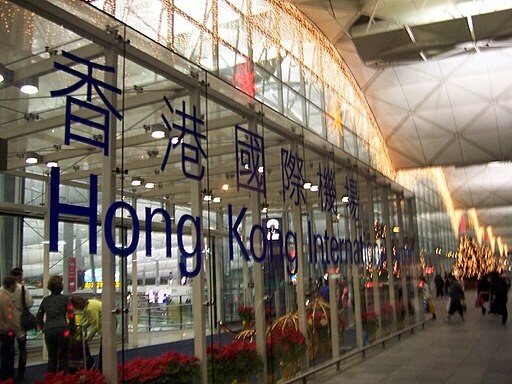 The goal of SkyChat is to make the life of travelers easier in the Hong Kong International Airport. Will the chatbot live up to our expectations? Let’s take a look! SkyChat is just like most other chatbots on Facebook Messenger as you need to select “Get Started,” to activate the chatbot. The chatbot will welcome you to Hong Kong International Airport and introduce itself. Before you can start using the chatbot, you need to tell it which language you speak. As the chatbot is for Hong Kong International Airport, it only has Cantonese, English and Mandarin in its programming. If you select Checkin, the chatbot will ask you which airline you are flying to your destination. Based on what you say, the chatbot will direct you to the appropriate check in counter. For example, if you tell the chatbot you are flying in Cathay Pacific, it will ask you to go to T1, Aisle 3. However, if you ask the chatbot to give you information regarding an airline which isn’t at the Hong Kong International Airport, the chatbot will tell you it doesn’t understand. You can check the status of your flight on Facebook Messenger using SkyChat. The chatbot will tell you if the gate is open and whether you can check in. If you can check in, the chatbot will give you a link, allowing you to do it online. For example, if you type CX 7402, the chatbot will give you details about the flight. If the gate is open, the chatbot will ask you if you would like to check in. The chatbot will redirect you to the airline’s page, where you can check in online. On selecting transport, the chatbot will ask you which type of transport you want to use. You can choose from public bus, airport express, parking, taxi, hotel coaches, residents’ coaches, and special services. The chatbot will give you information, based on what you select. For example, if you select parking, the chatbot will ask you if you want to know more about car parks and charges. The chatbot will give you a location map and details about Urban and Lantau taxi. Based on what you select, the chatbot will redirect you to the appropriate section of Hong Kong International Airport’s official website. If you want to see what the Hong Kong International Airport has to offer, you can select explore airport. The chatbot will ask you if you want to go shopping, dining, use the amenities, lounges, or entertainment. Based on what you select, the chatbot will show what you can find on Hong Kong International Airport. For example, if you select shopping, the chatbot will ask you what kind of shop you want to visit. If you select beauty and health, the chatbot will tell you where you can find shops that sell beauty and health products. While the chatbot has a lot of features, it doesn’t have natural language processing. As a result of this, the chatbot is only capable of understanding key words. Overall, SkyChat is a good travel bot available on Facebook Messenger. All its features that were added by the developers work exceptionally well. The chatbot will send notifications regarding your flight so that you don’t miss out on anything. Do give SkyChat a try, if you are planning on traveling to Hong Kong!